OK, I admit it: I haven’t been brilliant at posting stuff to Ferretbrain lately. It’s October now, though, and the longer evenings and my enormous backlog of horror-related articles have got me in the mood to get productive. So, off my own bat I’ve decided to treat you all to some horror-based articles for the coming month. 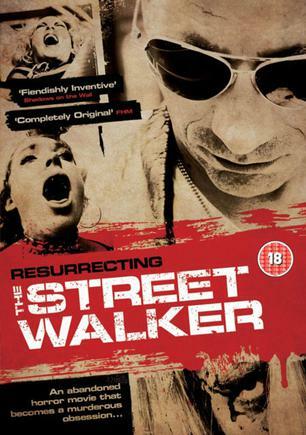 I’ll start with Özgür Uyanık’s Resurrecting the Street Walker, which might be one of the cleverest zero-budget horror films I have ever seen, not least because of its critical approach to horror, to the film industry, and to the process of film-making itself. It is presented as a documentary about James Parker (James Powell), a young man whose obsession with becoming a director led him to become a runner for Portland Pictures, one of those film companies clinging to the underside of the British film industry barnacle-like that somehow makes money for the high-ups despite not making much in the way of actual films. Tasked with inventorying Portland’s basement, James discovers the remains of one of Portland’s abandoned projects from the height of the “video nasty” era – The Street Walker, a grim film about a serial killer (Gwilym Lloyd) with a penchant for posing as a film director and filming his murders. Having been bought by Portland, The Street Walker project was left unfinished – David Foreshaw, the director, having committed suicide partway through filming. (Adding to Foreshaw’s mystery is the scarcity of images of him – in fact, his actor isn’t even named in the credits.) James convinces Mike Lowrie (Hugh Armstrong), the head of Portland Pictures, to let him prepare a finished cut of the film, eventually going so far as to get him to authorise James to shoot a bit of new footage in order to finish things off. 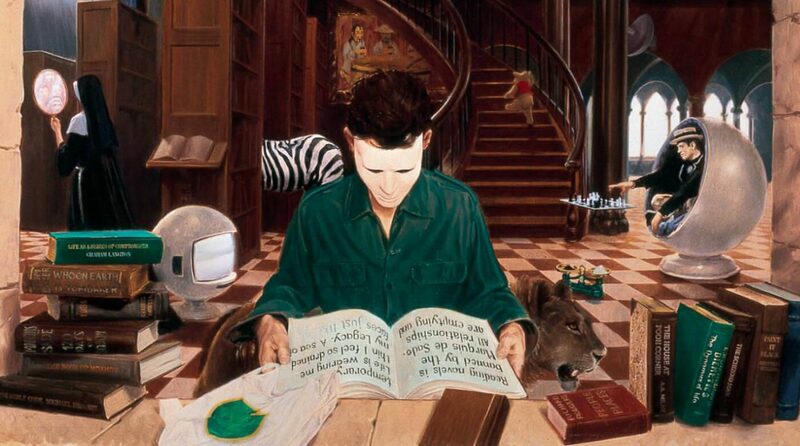 As circumstances conspire against him, James becomes increasingly angry at the various frustrations dragging him down – as well as becoming more and more obsessed with the project.